I love this time of year. There are always so many fun things going on including parties, cocktails, and holiday cheer! Earlier in the year I had read stories of people describing Pimento Dram (Allspice Liqueur) as “Christmas in a Glass”. So I knew that this would be perfect for the holidays. And if you start now, you can enjoy it for your holiday festivities. I started this way back in May (I guess I wanted to get a jump-start on my holiday cheer) and it is amazing. So far, everyone who has tasted this agrees. Pimento Dram starts with infusing allspice berries in high-proof rum. After straining the allspice, you add a brown sugar simple syrup and let it rest a while to allow the flavors to mellow. The final result is sweet, spiced, and very rich. It is also really lovely. Our intent with this liqueur was really to use it as holiday gifts, but it tastes so good I’m sure we will keep a bit for ourselves and some festive cocktails. Our friends over at Putney Farm have some exceptional cocktail recipes that include an Allspice Dram, including a toddy called the Tammany Jack. I think a little of this would be excellent drizzled into about any hot toddy. 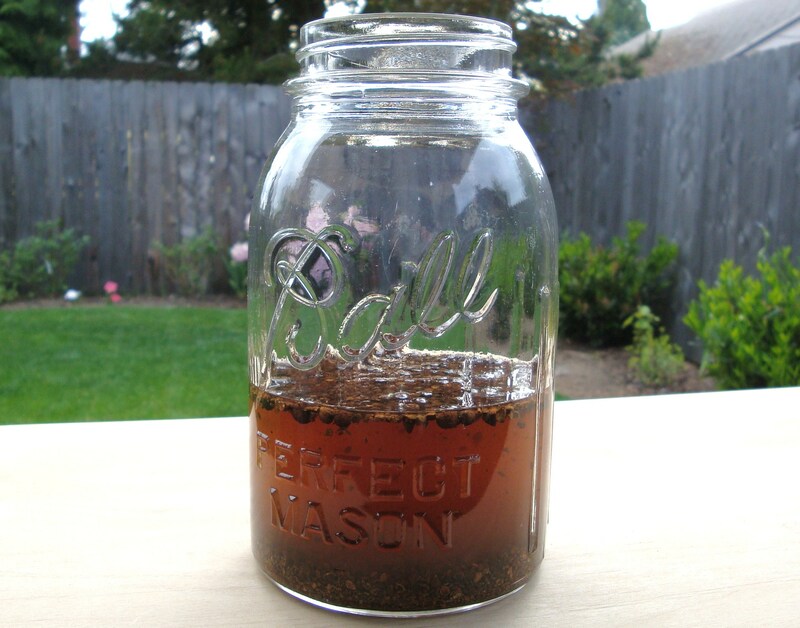 Lightly crush the allspice berries, and place them in a glass jar along with the rum. Let this infuse for about 10 days to 2 weeks. (We infused for 2 weeks.) Strain the mixture well. In a saucepan, add the brown sugar and water and heat until dissolved to create a brown sugar syrup. Allow the brown sugar syrup to cool completely. Add the brown sugar syrup to the rum, and allow the mixture to rest for another 2-4 weeks. Now go enjoy your holiday cheer! I also came across some wonderful recipes for Pimento Dram that included cinnamon stick and other spices, but I wanted to keep the flavor of allspice more pure. We will soon be compiling some of our favorite recipes throughout the year that we feel will be great for holiday parties and gifts so get your infusing supplies ready! Categories: Infusion, Liqueur, Recipes | Tags: Allspice, brown sugar, holidays, infusion, Liqueur, recipe, simple syrup | Permalink. Who needs a Monday cocktail? It is (finally) a gorgeous, sunny summer day here in the Pacific Northwest. And a cool, refreshing drink sounded just perfect. We’re bringing back a few infusions that we made a while back, but they are perfect for this summer beverage. Mix the first 4 ingredients in a shaker, and stir well to combine. Divide among two tall glasses filled with ice, add club soda, stir and enjoy! 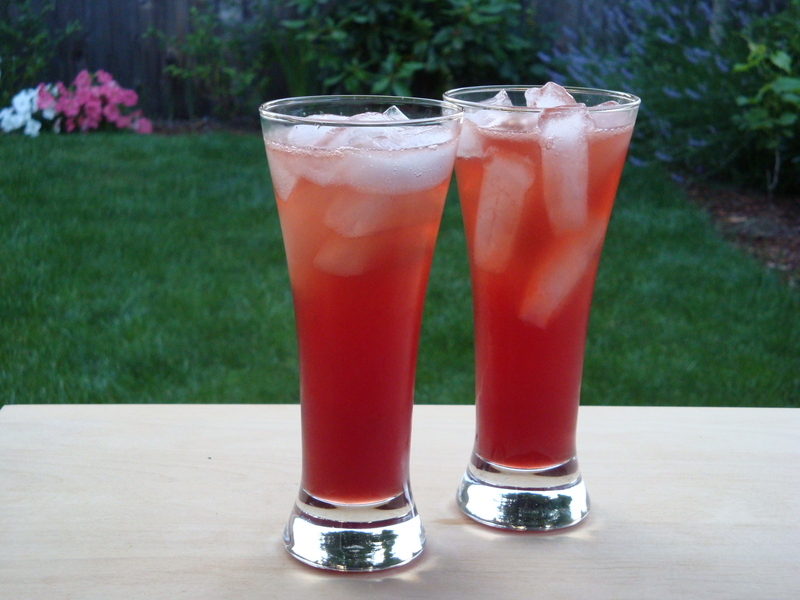 Categories: Cocktail, Drinks, Recipes | Tags: brandy, club soda, drink, hibiscus, lemon, lemongrass, recipe, simple syrup, vodka | Permalink. Mint Bourbon and an amazing cocktail! 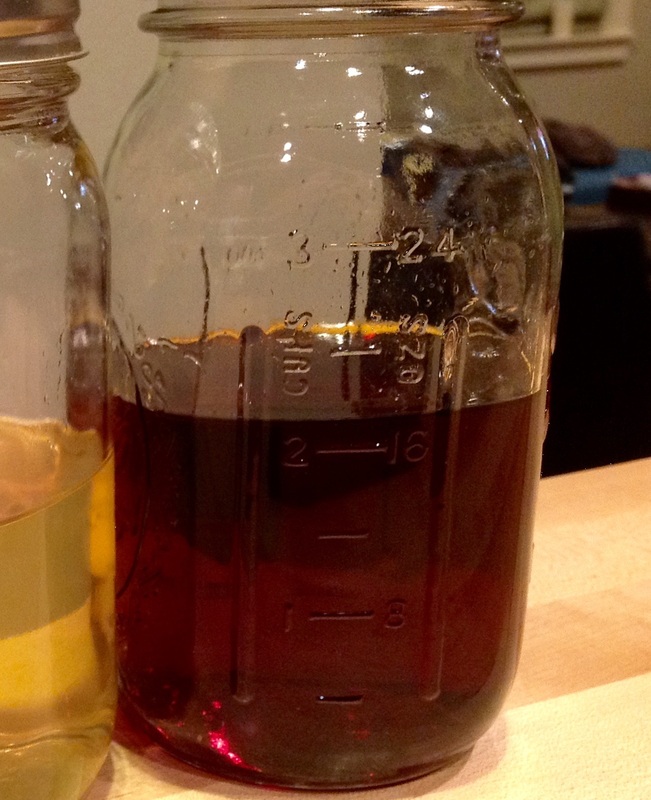 We started infusing a mint bourbon shortly before the Kentucky Derby. 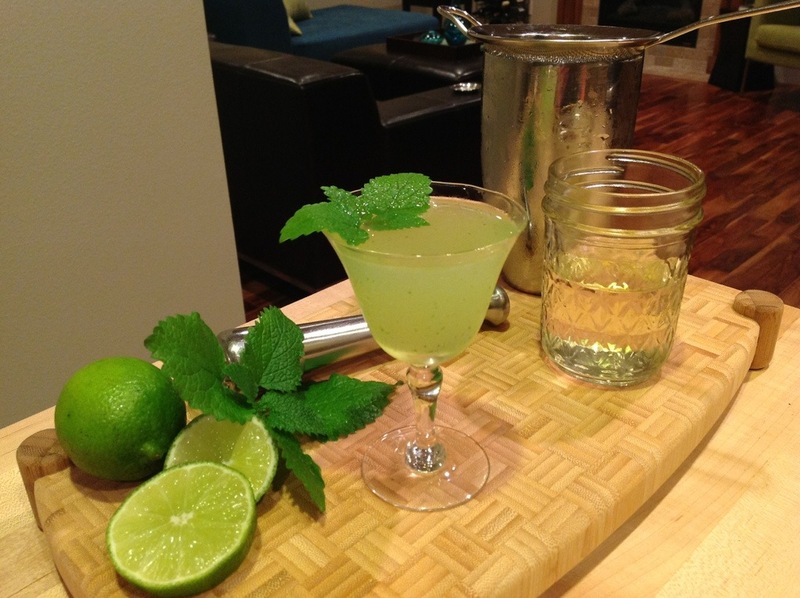 For those of you who are Mint Julep fans, you may have too! 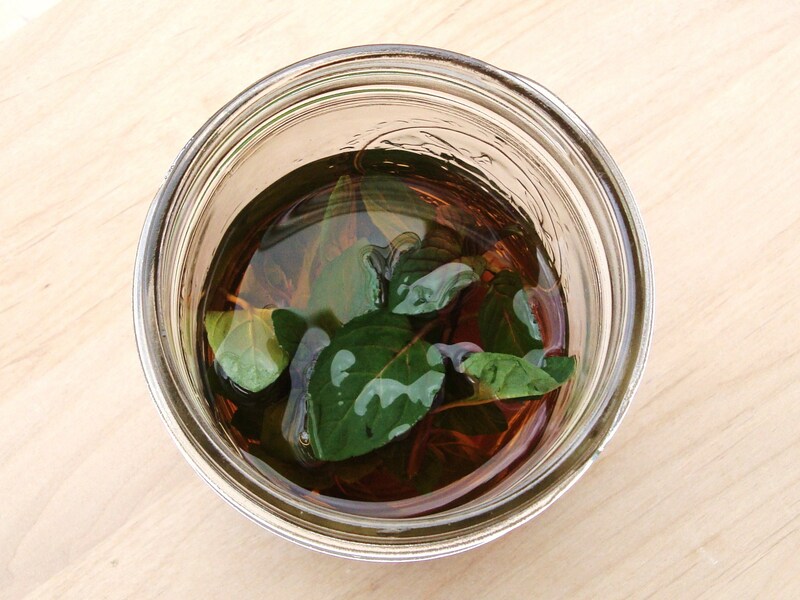 For our Mint-Infused Bourbon, we used Chocolate Mint, instead of the typical Spearmint. We picked some mint, rinsed it (and allowed to dry), then packed it into a pint jar and covered with bourbon. Infuse until it reaches your desired taste. So, armed with mint-infused bourbon, we couldn’t help but want to try it in the Shady Porch Cocktail from A Taste of Morning. A Taste of Morning is written by Laurie, proprietor of the Morning Star B&B in Manhattan, Kansas. And by the looks of her posts, this would not be a place to miss if you are in the area. Laurie’s Shady Porch Cocktail called for Mint-Infused Vodka, and we decided to test it out with our mint-infused bourbon instead. The drink was absolutely spectacular! I’m sure it is also fabulous with the original, vodka infusion. Combine first 3 ingredients, and stir well to combine. Pour over ice, and add ginger ale. Garnish with lime and mint. 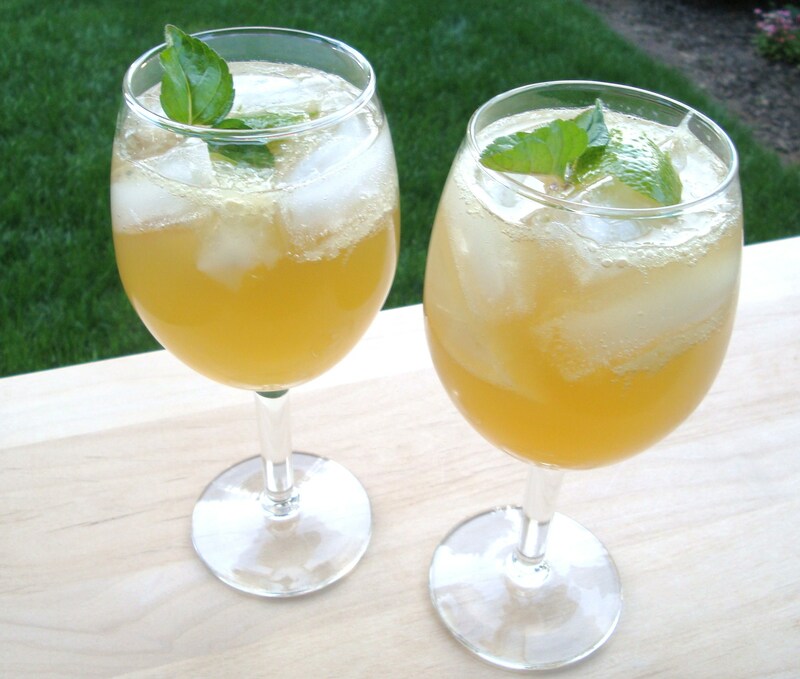 We used Spearmint for our mint simple syrup, but also enjoyed the chocolate-mint flavor in the bourbon infusion. The flavor seemed to be a bit more gentle than the spearmint. Thank you again to Laurie from Morning Star B&B and A Taste of Morning. We will definitely make this cocktail again. It was really tasty, and will make for great summer gatherings. Categories: Cocktail, Infusion, Recipes | Tags: Bourbon, cocktail, ginger ale, infusion, lime, mint, simple syrup | Permalink. I thought I better get this posted before we reach the end of winter! For those of you who are in warmer climates, it may be a bit late to infuse this and enjoy it before we hit spring. But for those of you in colder regions, you may still have some time… sorry. When I lived in Maine, I would always take a tropical vacation this time of year to escape the cold weather, as we still had plenty of time for snow before we hit spring (mud season). Crack and drain one coconut, then cut away the brown shell. Place the white coconut flesh in a food processor and pulse until shredded/chopped to a fairly fine grain. If you do not have a food processor you could try grating it. Place 2 cups of the shredded coconut in the vodka and let infuse for approximately 3 weeks. At that time, add 4 TB thick simple syrup and let infuse for another 2 weeks. After a total of 5 weeks, strain the coconut and add more sweetener to your taste. I added another 2 TB of simple syrup, for a total of 6 TB. At first I thought that this was heavy on the alcohol taste, but after sitting for just a day I think this tastes perfect. You may be able to infuse in a shorter time if you use more coconut. Unfortunately the color of the liqueur masks the etching on this bottle. This was a gift from my sister, etched with “Boozed + Infused”. In many of my recipes, I list “thick simple syrup”. When I use this term, I typically have used 2/3 c. of sugar and 1/2 c. of water. I bring this to a boil on the stove and let it simmer for a couple of minutes. Remove from the heat and let cool completely before adding to your recipe. 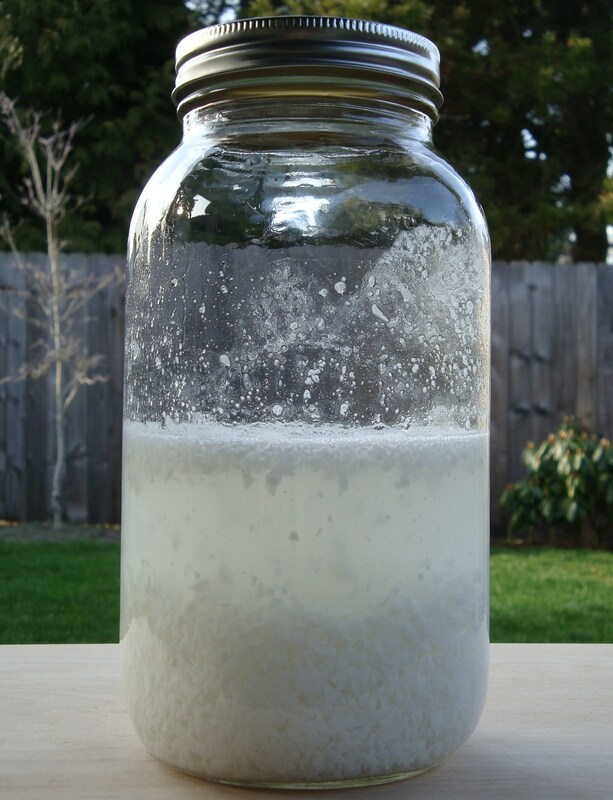 If you have extra left over, you can save this in a glass jar in the refrigerator for a few weeks. 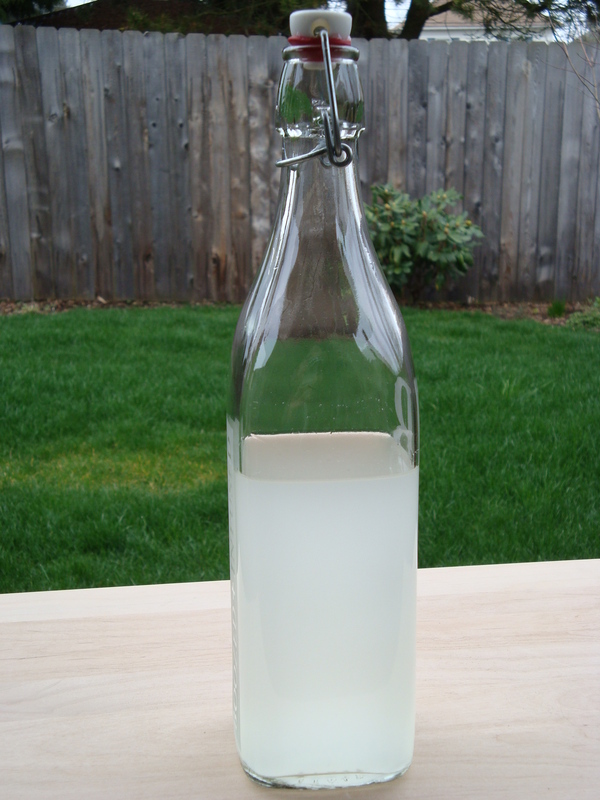 Categories: Infusion, Liqueur, Recipes | Tags: coconut, Liqueur, recipe, simple syrup, vodka | Permalink.